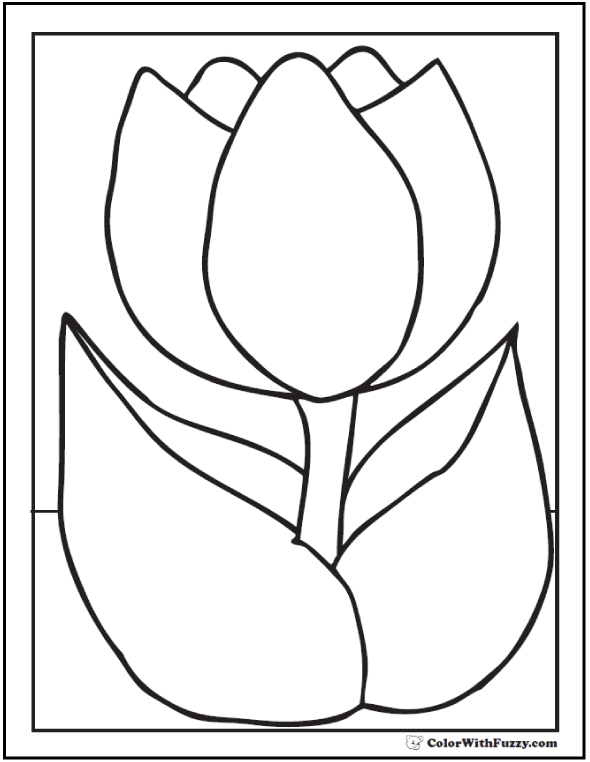 Satisfy your yen for tulip flower coloring! 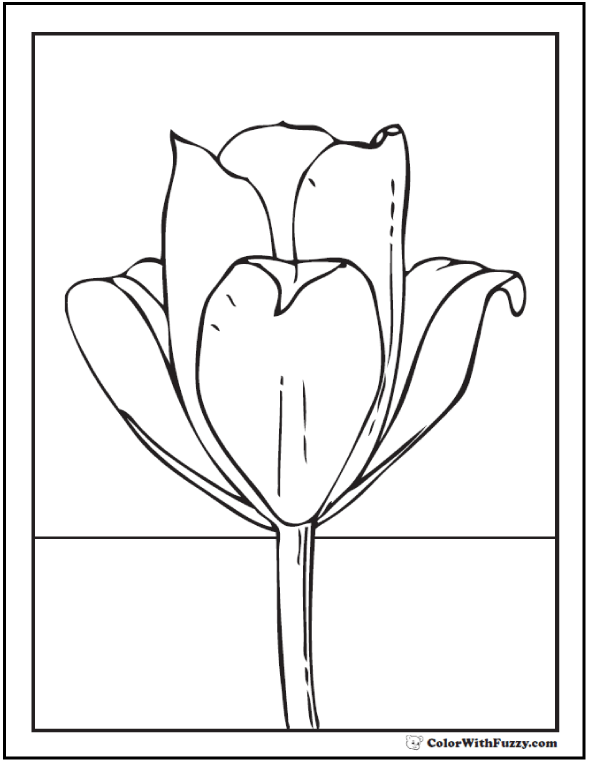 Spring is time for tulip coloring pages. So many colors! Yellows, reds, whites, pinks and purples are everywhere. 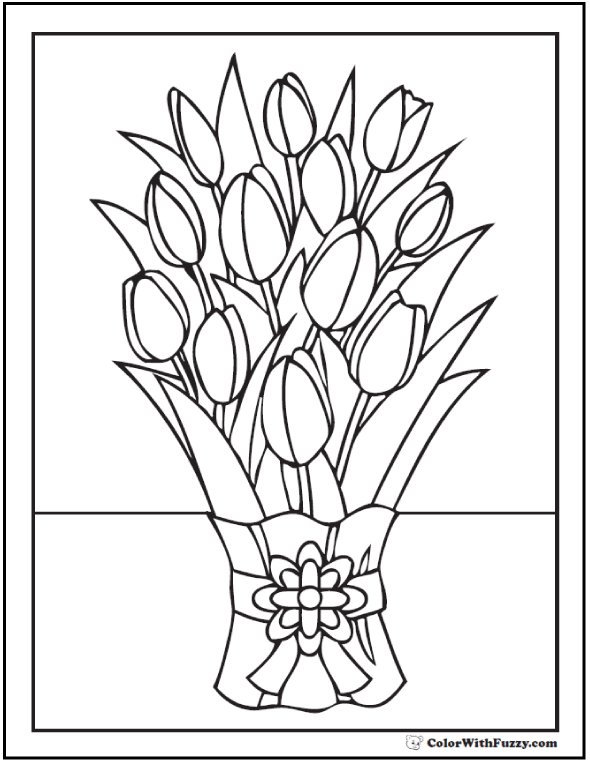 I've got blooms and bouquets for you to color and share. 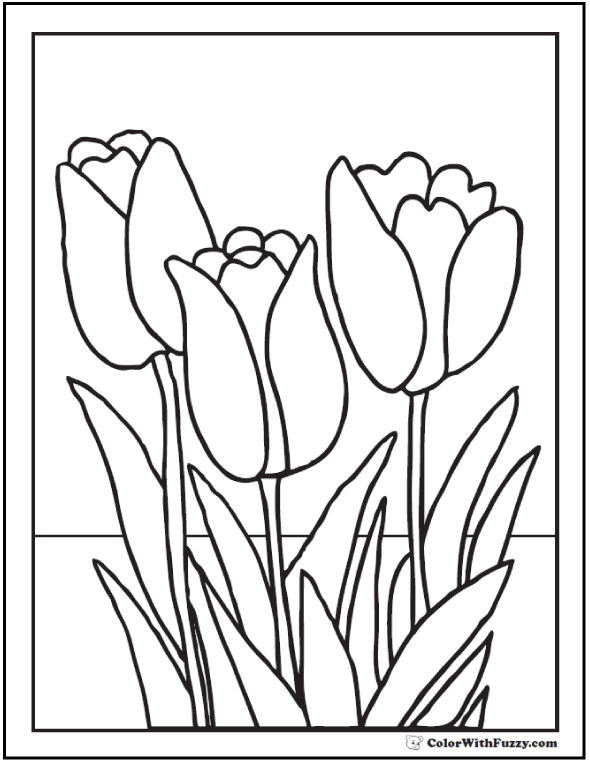 You can make your tulips fancy and variegated by leaving stripes of white or using a second color like yellow with red for a neat fire effect. 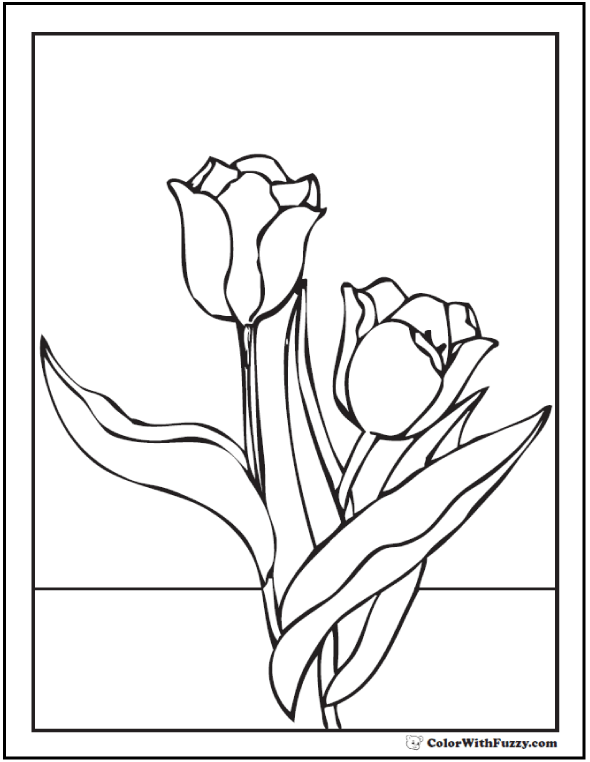 Printables spread springtime tulips all year long! 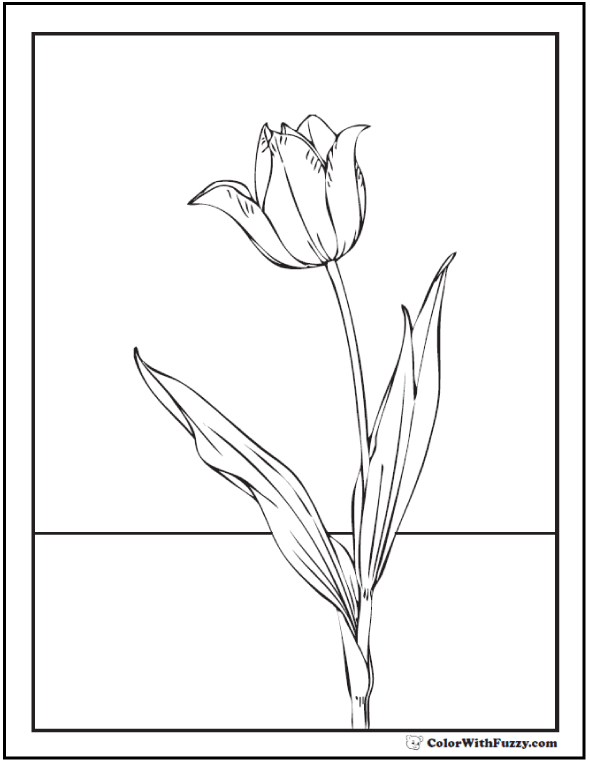 Tall tulips are so graceful and elegant. Which is your favorite? 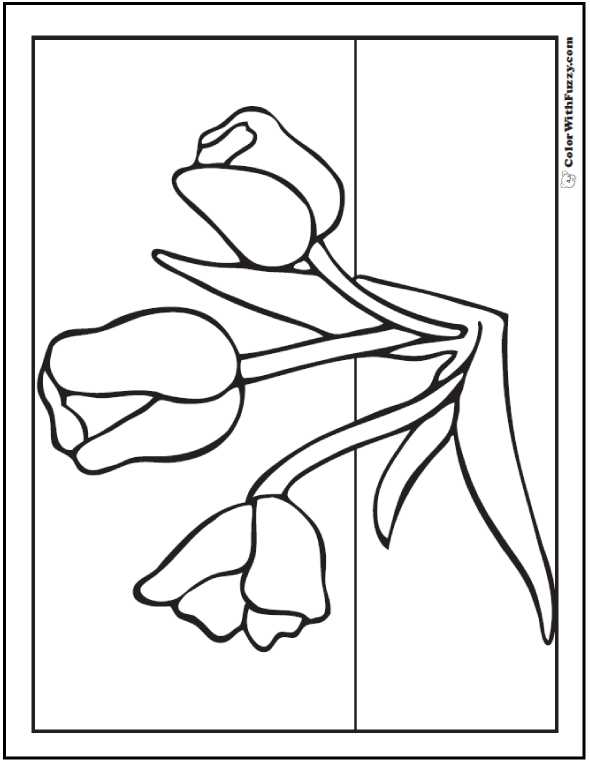 Aren't these short tulips cute?! I think so. Ooo. 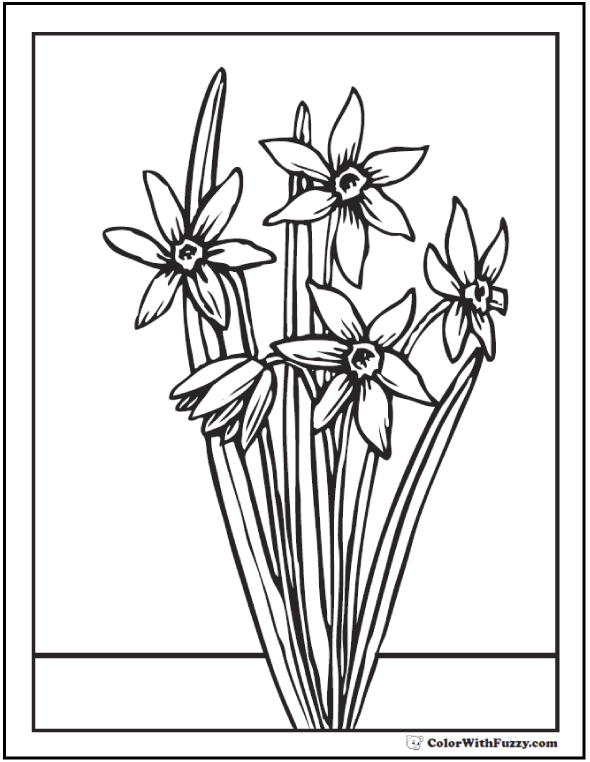 These are pretty bouquets! 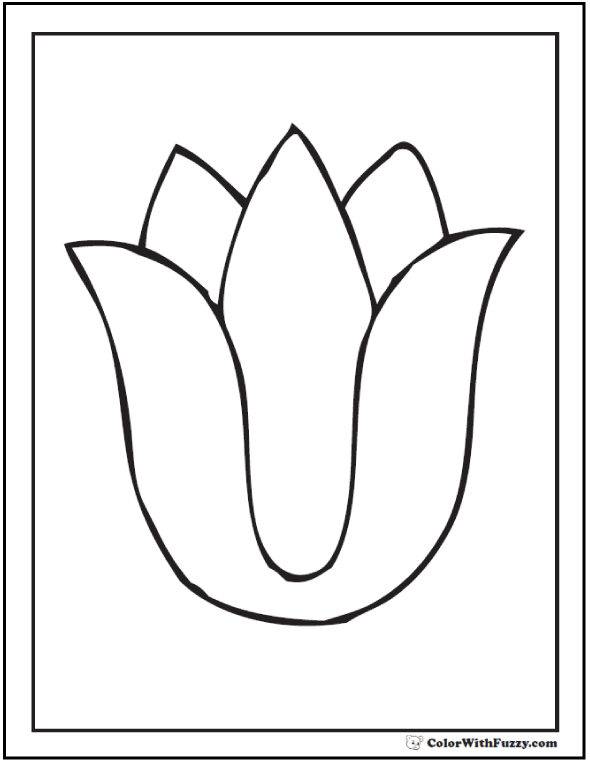 Also, I love seeing tulip gardens. 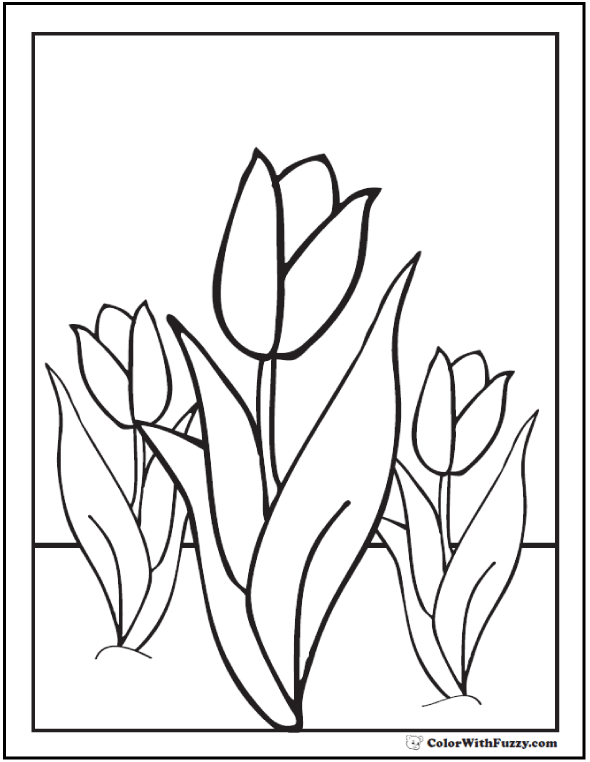 Tulips are for both children and adults. 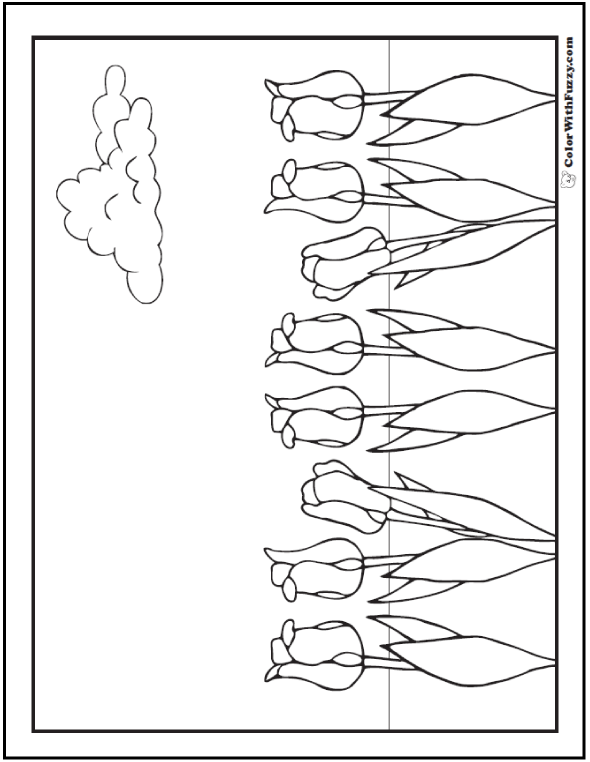 All of us love flowers and spring! 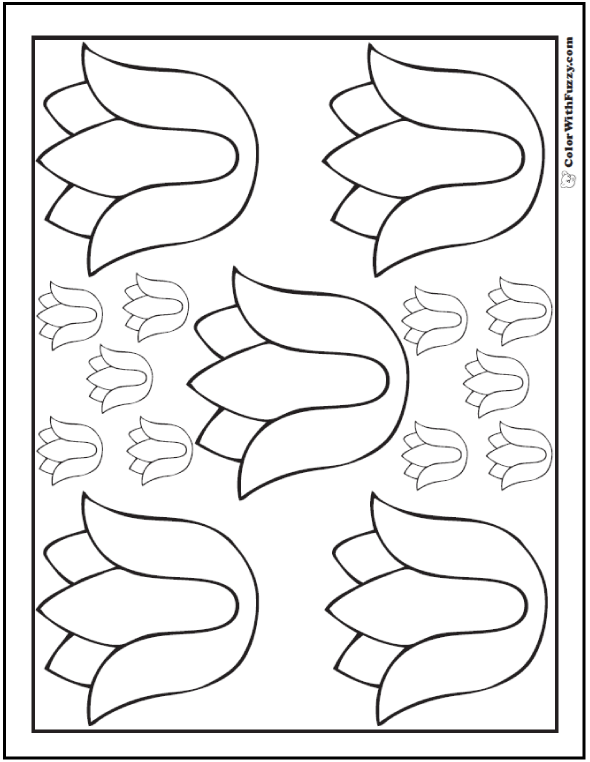 Remember to show little children the greens for the leaves and background and fan out a selection of reds, yellows, pinks and purples for the flowers. 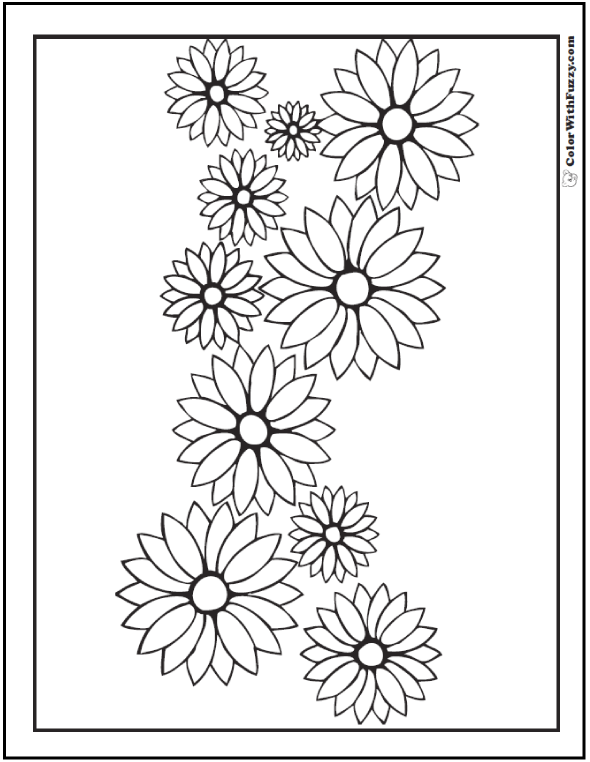 Some of my friends like it when I put a color dot in the best places so they can remember their choices. 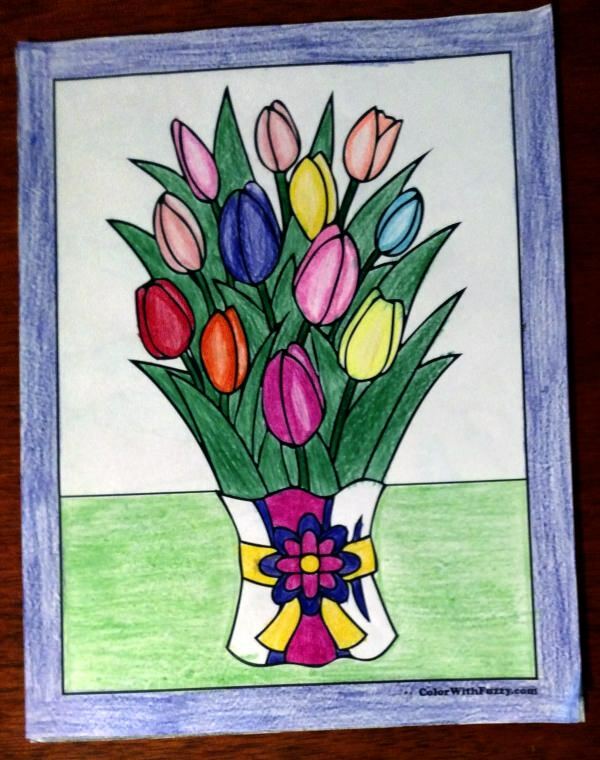 Preschoolers and kindergartners love tulips for Mother's Day. 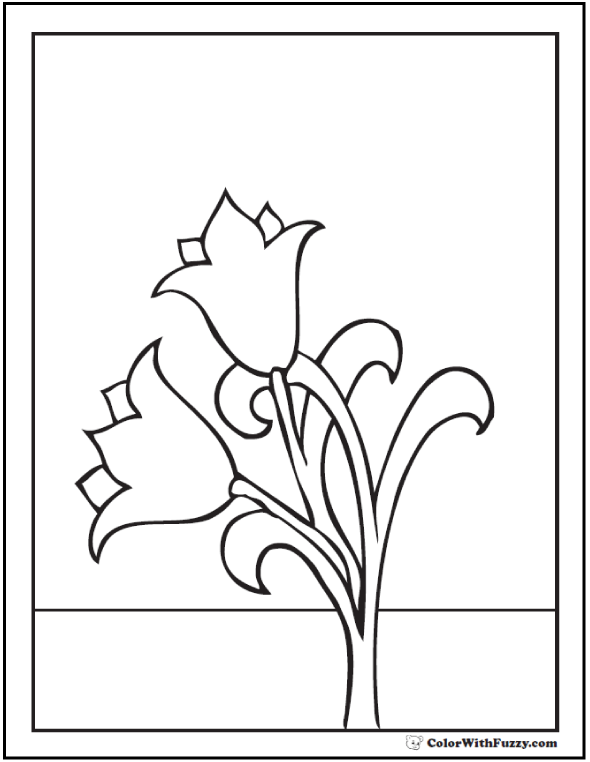 It's so nice to be able to bring Mom a flower without picking a real flower. 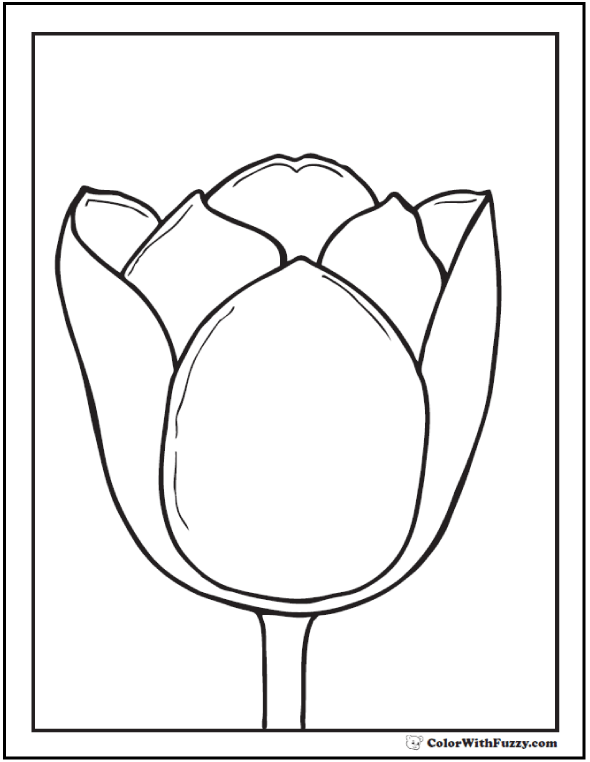 If you have a garden catalog or Pinterest, show the kids how many ways there are to color a tulip. 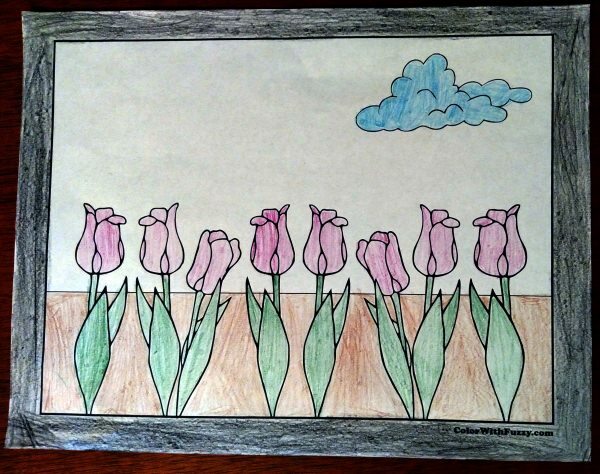 Nursing homes are often getting pictures to color for the elderly. 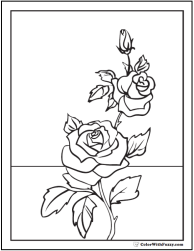 Do your Grandma and Grandpa like to color? Mine did. pinks and purples for the flowers. 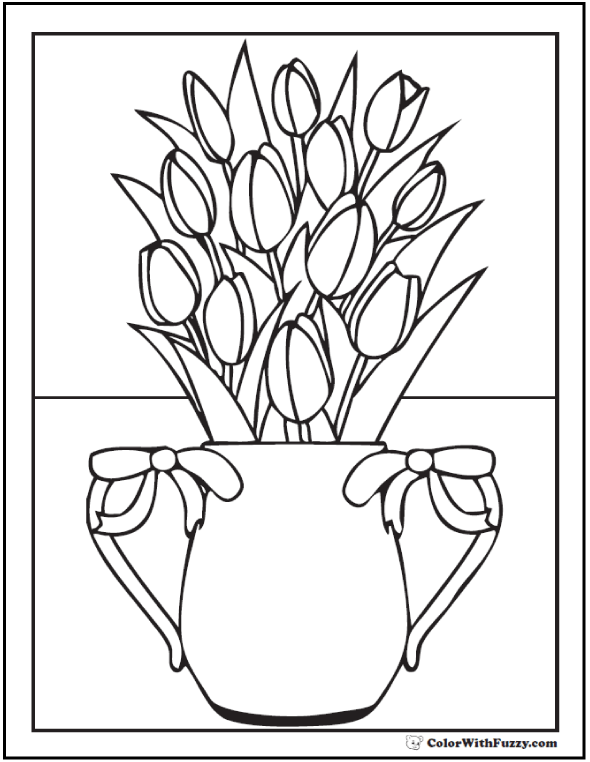 Thank you for sharing my bouquet tulip coloring page!